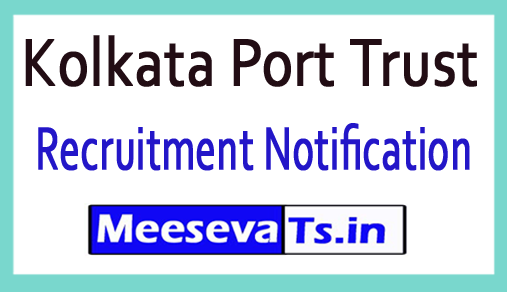 Kolkata Port Trust Recruitment Notification 2018 @ kolkataporttrust.gov.in for 20 trainee pilots / gunman vacancies. Ex-Police / CISF / Army / Navy / Air Force / Other Para forces Experience: Should not be less than 15yrs. Service. Those who have experience in handling the law and order situations, personnel deployment, interrogation, crowd control, direct action etc will be given priority. There are guns with a valid license from the former police, army, navy and air force or other pre-paramilitary forces. Should not be less than 15yrs. Service and adequate experience in direct action, patrol, watch and ward. There should be experience and ability to handle firearms for at least 10 years. Interested and qualified candidate can download the website from the website at kolkataporttrust.gov.in and send your application on or before 26.10.2018. The prescribed format with photocopy of all relevant documents should be submitted to the address specified below.